It is our goal at Masullo Electric to provide a sound and functional electrical system, to every project. We enjoy enhancing the atmosphere our customers are trying to create. We feel this is what makes an electrician a true craftsman in his trade. People are creatures of habit, if they feel comfortable somewhere, they will return. Be it a Restaurant, Winery, Gas Station, or even your own backyard! Masullo Electric is a progressive company whose determined goal is to provide and ensure a professional, cost effective and efficient service to our customers and a level of expertise unrivaled in the market. We specialize as a Electrical Contractor –in the Design, Supply, Installation and support of modern lighting and electrical applications. Masullo Electric spans all the key electrical needs – custom lighting, design, installation, commercial, residential with a specialization in petroleum and gas stations. Rick and his team of electricians have decades of experience in electrical design and installation and are equipped to handle any needs you may have. All our installations and designs are set to the required quality and industry standards. We ensure each project is configured in accordance with our customer’s requirements and that clear operating instructions are given to key personnel. We take pride in powering beautiful realities. We welcome any opportunity to serve you. 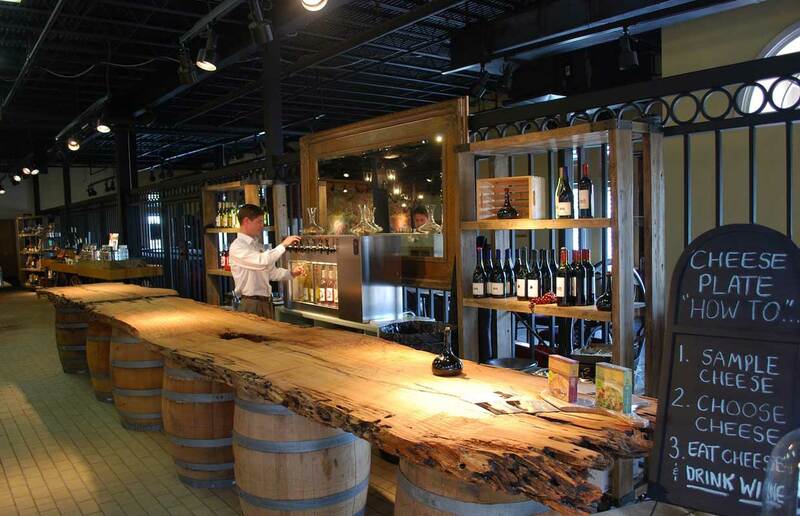 Masullo Electric provides exceptional electrician and lighting design for wineries and tasting rooms. Masullo Electric provides new electrical service with intricate architectural details and finishes.